The $820,000 Bentley Bentayga V8 costs a full $100,000 less than the W12 version. 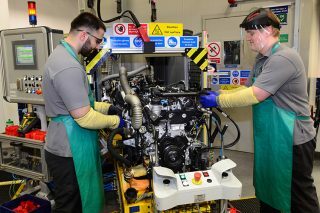 Until now, buyers of Bentley’s SUV, the Bentayga, have had to choose between only two variants – the flagship 600hp 6-litre W12 or the more eco-friendly 429hp 4-litre V8 diesel. 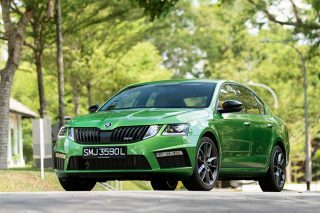 But with the introduction of an all-new downsized V8 petrol engine to the range, there is now a third option. However, where Bentley is concerned, downsizing is relative, since the new engine still boasts twin turbos and a 4-litre capacity, and delivers 550hp of power and 770Nm of torque. These numbers trail those of the range-topping W12, but in pure performance terms the new boy is not far off, lagging by a mere half-second to 100km/h (at a still-ridiculous 4.5 seconds) and being 11km/h slower all-out, at 290km/h. The V8 is also 15% more fuel-efficient and about 12% less polluting than the full-fat W12, aided by its ability to deactivate half of its eight cylinders under light load. 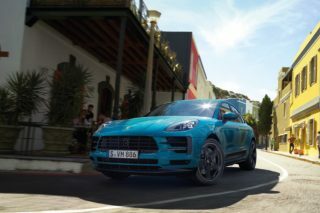 The engine is deployed in two other recently launched VW Group SUVs, the Porsche Cayenne Turbo and the Lamborghini Urus, although in different states of tune. Bentley has not revised the Bentayga’s styling, so its looks are still an acquired taste. 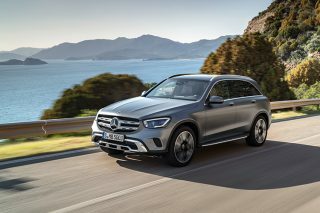 But the British automaker has taken the occasion of the V8’s launch to introduce some new options which will be offered across the Bentayga range. Chief among them are 10-pot carbon-ceramic brakes. 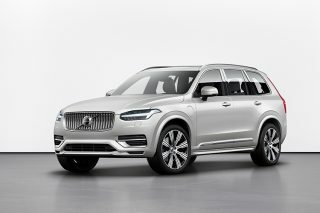 The front pair, at 440mm in diameter, are the largest ever fitted to a production car, so it’s probably safe to assume that they are well up to the task of hauling this thundering SUV down from speed repeatedly without wilting. 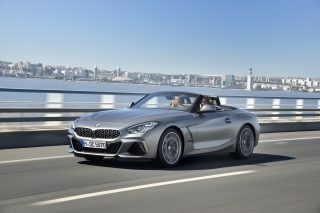 Usefully, the quartet of carbon-ceramic discs also weigh 20kg less in total than the standard metal discs, which helps make a slight dent in the car’s considerable mass. There is also a Black Specification option, where the car’s chromed exterior bits are finished in gloss black instead, for a moodier, less formal look. 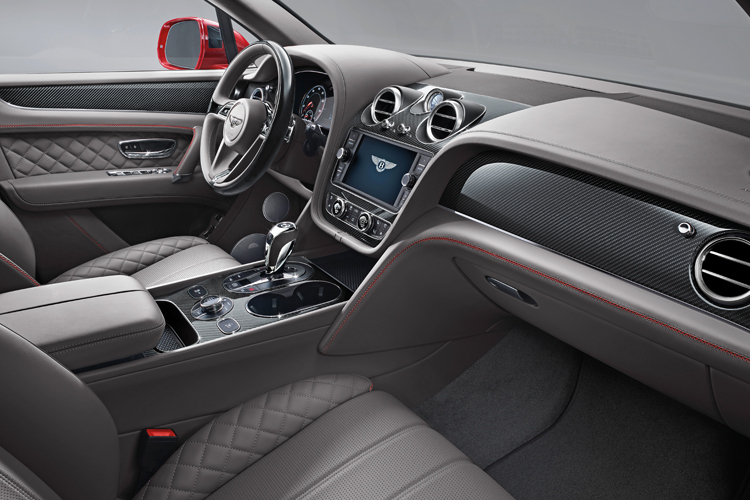 Bentley has also introduced some new trim options for the sumptuous cabin, such as high-gloss carbon fibre inserts for the fascia, centre console and door cards, and a new cabin leather colour inspired by the mahogany-like colour of a cricket ball – presumably for fans of the game. But while the Bentayga’s target audience may now include the cricket fan, it has never really stretched to the driving enthusiast – no car weighing well over two tonnes could ever truly be described as a driver’s car. Still, the Bentayga V8 is incredibly agile for its hippo-like size. It does weigh 120kg less than the Bentayga Diesel (although the difference to the W12 version is less, at about 50kg) and the reduced mass is palpable in its keener turn-in, and the way it traverses bumps and undulations without bobbing about gently like the Diesel does. Even on tight turns the car remains impressively level, thanks to electric active anti-roll technology (dubbed Bentley Dynamic Ride). On a challenging road such as the icy mountain passes on our test route, the V8 can be hustled with poise like a big sports saloon, with impeccable ride and body control. 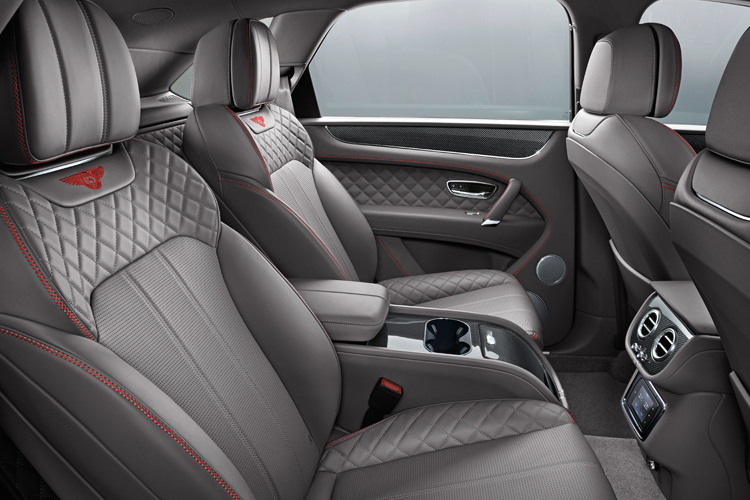 The 2018 Bentley Bentayga V8 boasts new trim options inside the cabin and a new V8 inside the engine room. Even on the sportiest of the air suspension’s three settings, the occupants remain untroubled by whatever bumps, ruts and potholes the road surface dishes out. The steering is surprisingly sharp and accurate, too, allowing you to place the car quite precisely in turns and on narrow lanes. And that new powerplant is a joy. 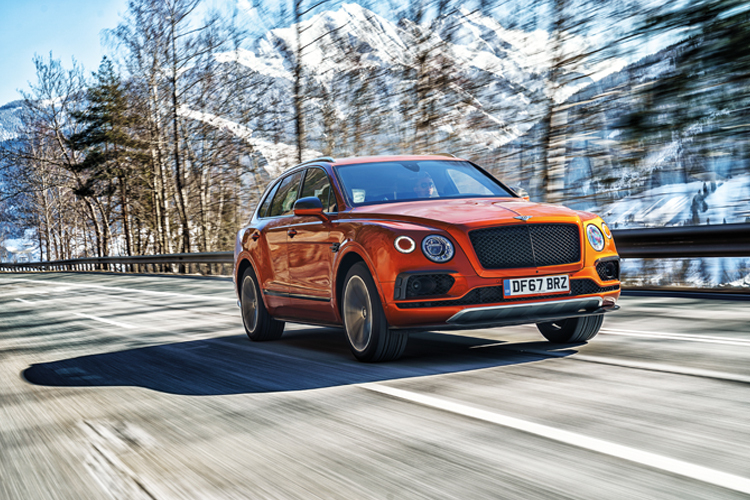 Massively torquey, it punts the near 2.4-tonne Bentayga along with seemingly no inertia and spins freely to 7000rpm, making it the highest-revving Bentley engine ever. A look at the torque curve partly explains that effortless thrust – the curve is an absolute plateau at 770Nm all the way from 1960rpm to 4500rpm, so hurtling acceleration is always just an ankle-flex away. The engine is also wonderfully refined, yet with the drive mode selector in Sport it serenades with a thrilling V8 warble as it homes in on its redline. 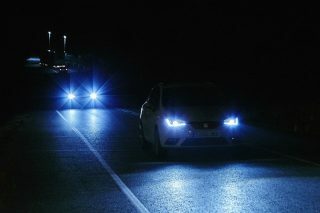 But ease off at a cruise and the stirring bellow subsides to a hushed purr. 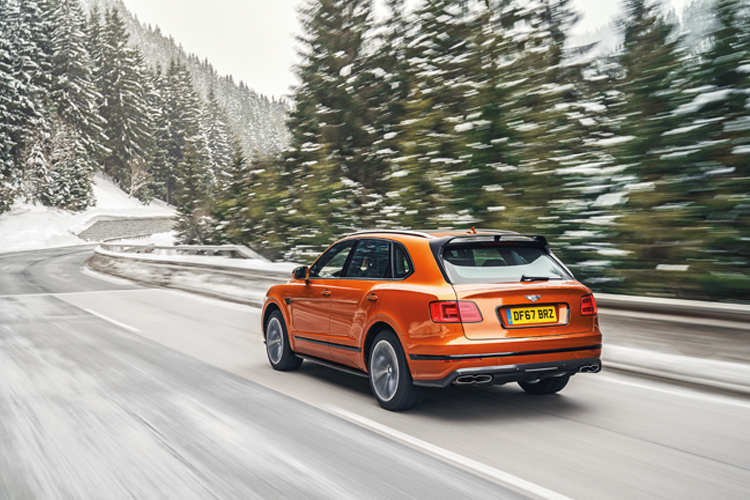 Coupled with the cushy yet controlled ride and the plush, superbly insulated cabin, the Bentayga V8 is a massively capable (as well as a massive) long-distance device. At $820,000 without COE, the V8 costs a full $100,000 less than the W12 and only $20,000 more than the Diesel, making it surely the gem in the Bentayga range.